Andreas Marschik was born in 1958 in Köthen. He grew up in Dessau, where he had his first violin lessons at the age of five. After a short time he stopped playing, but never lost his interest in music. It was not until the age of 21 that Marschik did decide to become a musician. A year later he started to study viola at the Music Academy in Leipzig under Professor Klaus Schwenke. The former leader of the Gewandhaus Orchestra, Professor Gerhard Bosse, noticed him and took him into his chamber music masterclass. 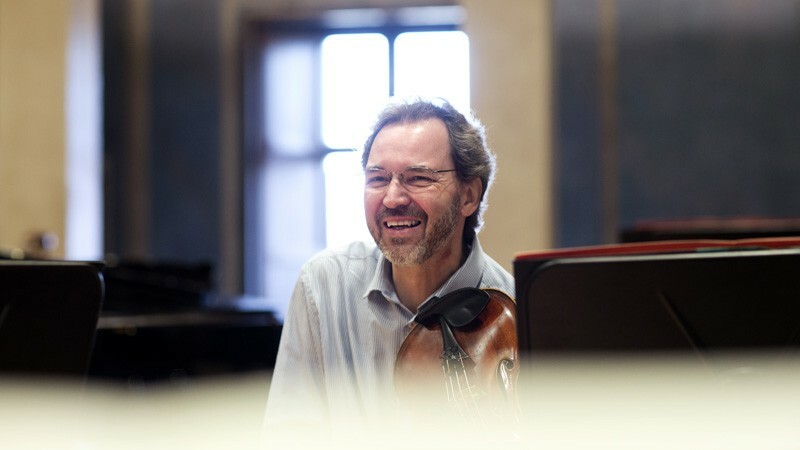 Andreas Marschik was given a place as a substitute in the Gewandhaus Orchestra in Leipzig, until he passed his examination as a soloist which special honors in 1985 and became solo violist in the Grosses Rundfunkorchester Leipzig. He recorded several solo concertos with this orchestra. Since 1989 he has performed with many different chamber music ensembles in Europe and Asia. He was violist in the Grieg Quartett München and since 1990 he has been a member of the Symphonieorchester des Bayerischen Rundfunks.